Gregg Hart (right) takes his seat alongside Supervisor Steve Lavagnino, who is now board chair. Among the music, reflections, and congratulations at Tuesday’s swearing-in ceremony of newly elected Santa Barbara County leaders, the theme of helping people in need resurfaced several times during the morning’s pomp of invited speakers. After the flag presentation and pledge, led by Los Prietos Boys Camp Color Guard, Pastor Jeff Shaffer’s interfaith invocation urged public servants to seek and serve the well-being of all residents countywide. “In 2019, pay special attention to those on the margins of our county,” he said. 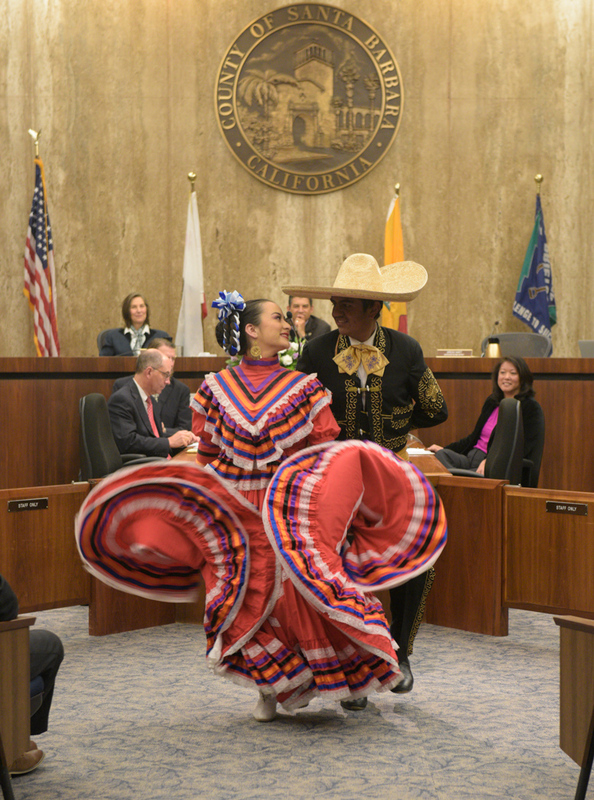 Musical Presentation by Righetti High School Marimba Band & Ballet Folklorico Under the Direction of Ricardo Gabaldon during the County Supervisor swearing in ceremony Tuesday January 8, 2019. In accepting the seat vacated by Janet Wolf, who retired last month, 2nd District Supervisor Gregg Hart said a recent eye-opening trip to Europe ​— ​where an Amsterdam cop told him, “We take care of our people” ​— ​impressed on him that chronic homelessness doesn’t have to be a fact of urban life. 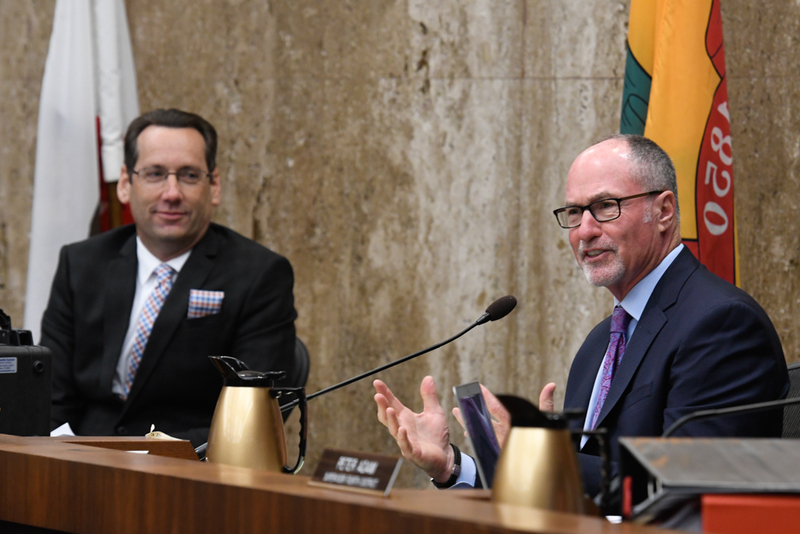 Hart, who arrives to the county dais after serving as a Santa Barbara city councilmember, has said that tackling tough mental-illness issues countywide will be among his priorities. Taking the gavel as the board’s newly appointed chair, 5th District Supervisor Steve Lavagnino, who, like Hart, ran unopposed in last November’s election, said that heading into 2019, the county will be forging a budget that anticipates economic downturn and addresses a maintenance backlog, a changing climate, and pension-fund instability, among other big items.